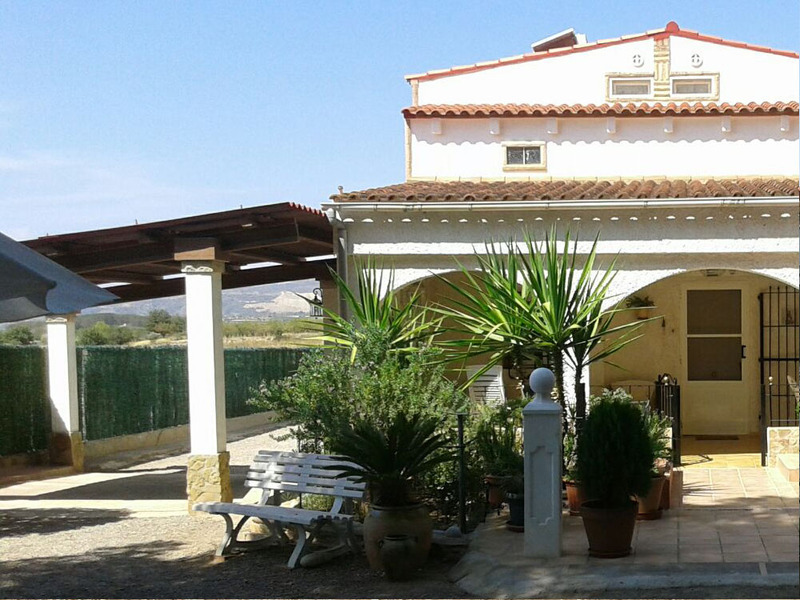 One of our range of country villas for sale Valencia situated on the boarder between Villar del Arzobispo and Casinos, 5 km to each of the two towns. 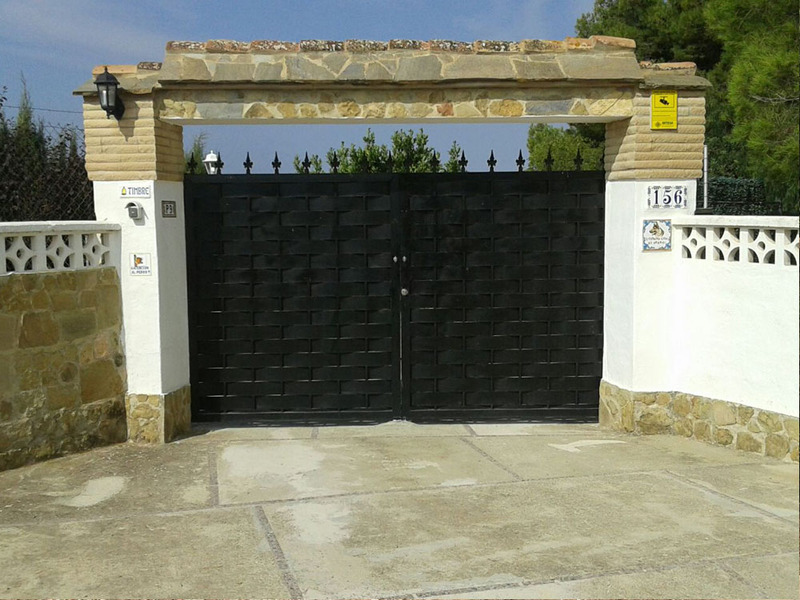 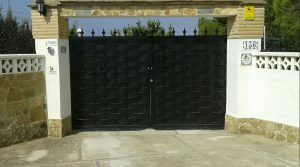 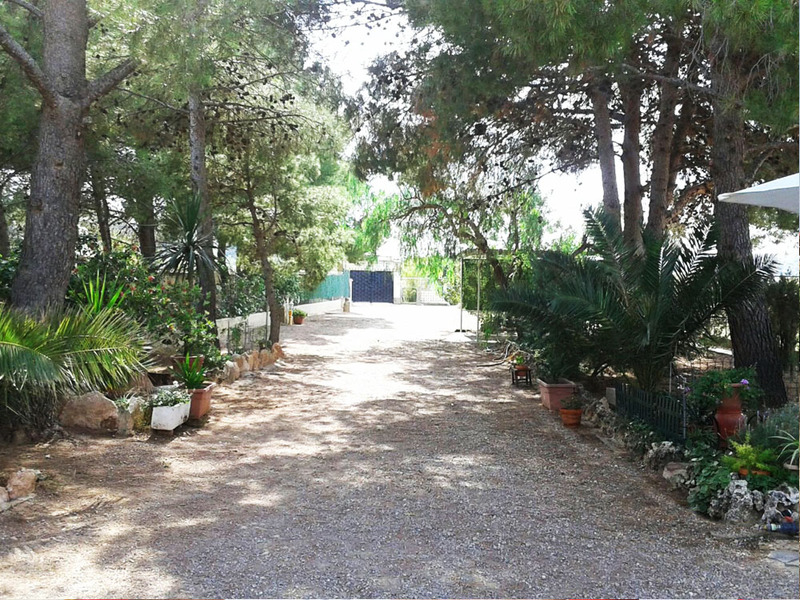 This countryside property is deep in the countryside and it has a large 3000m² fully fenced flat plot of land with the villa sitting centrally on its plot, passing through the double gated entrance at the front with an impressive driveway taking you to the large villa. 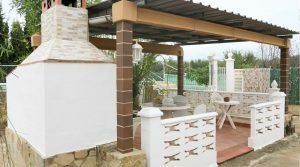 At the front of the property you have a covered terrace which is lovely place to sit and enjoy a meal which looking across the countryside. 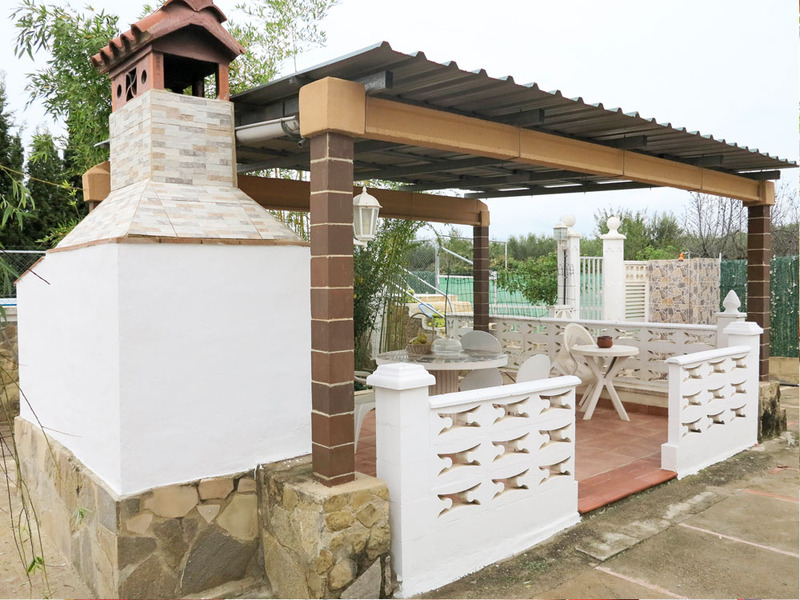 The villa has a small collection of neighbouring properties where people live all year, but they are not overlooking your property as this property enjoys an end plot position. 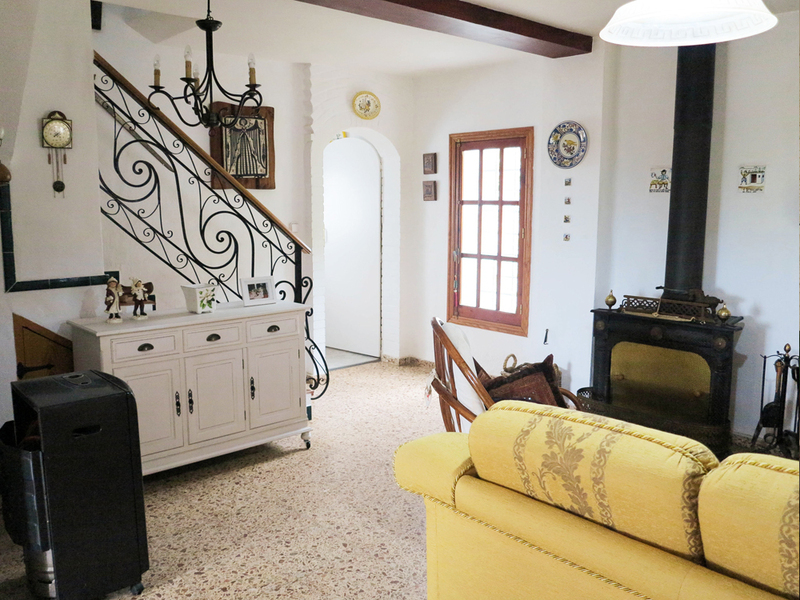 Inside the villa you have a large lounge/dining room complete with a log burning stove. 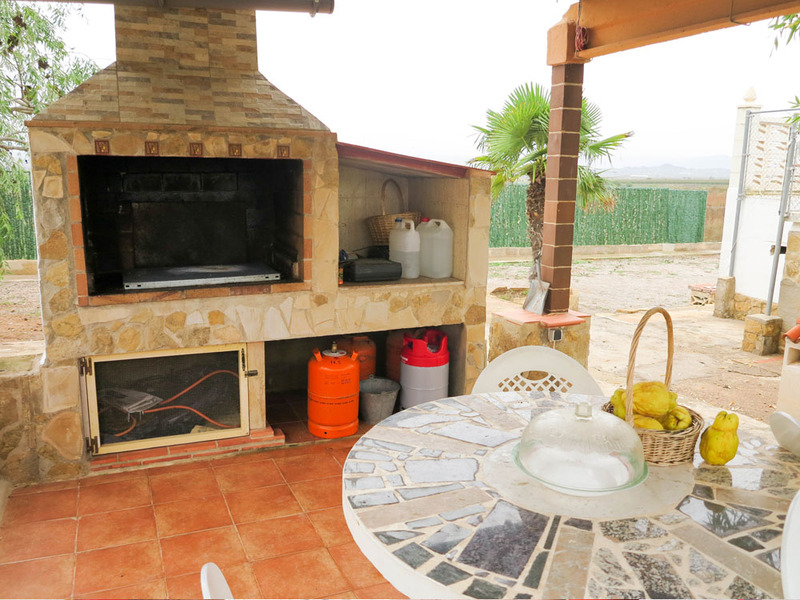 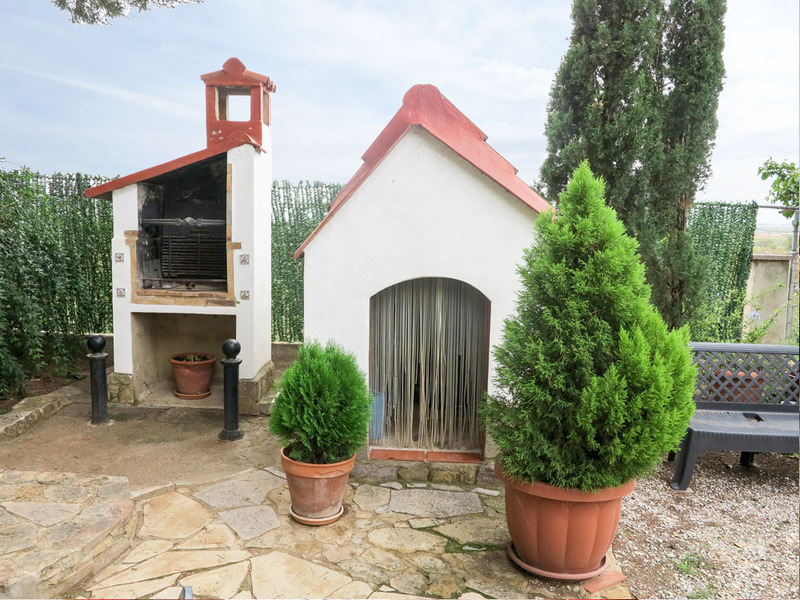 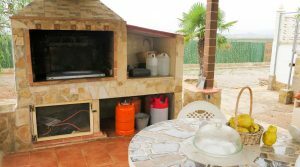 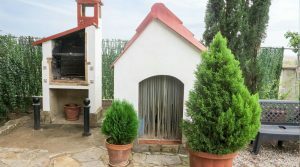 Then you have a split level kitchen over two sections, where the lower level incorporates a paella house/indoor barbecue where to cook your paella and meats on a fire-wood cooker. 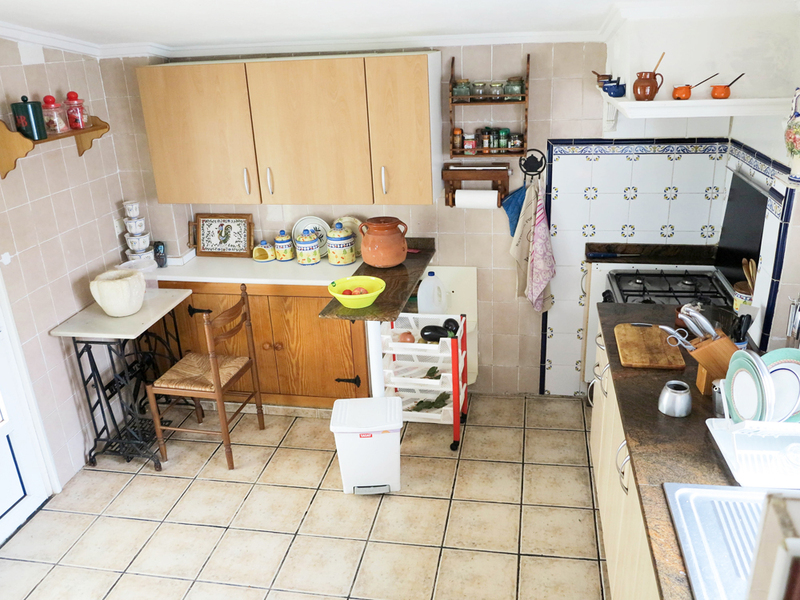 This large area of the kitchen has a doorway taking you out to a 9m² covered terrace on the side of the villa. 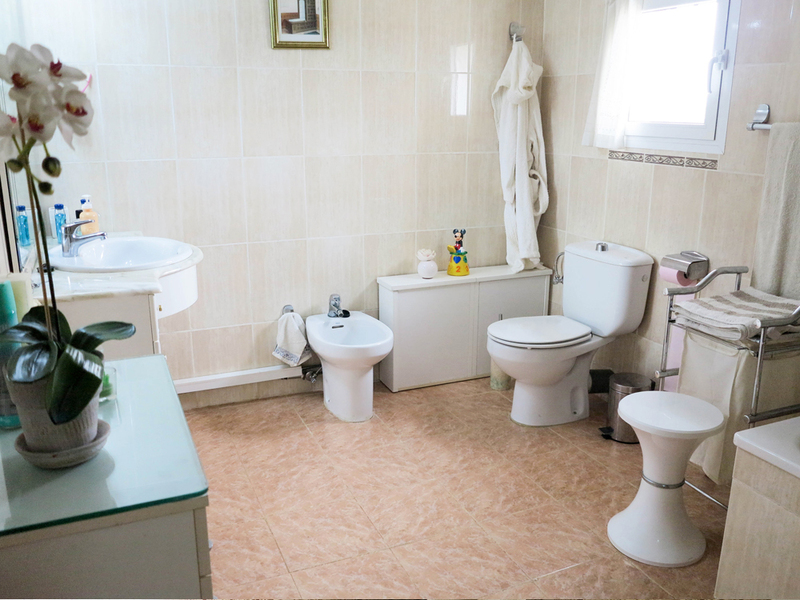 Also located on the ground floor you have a double bedroom and a bathroom distributed from a small hallway leading from the lounge. 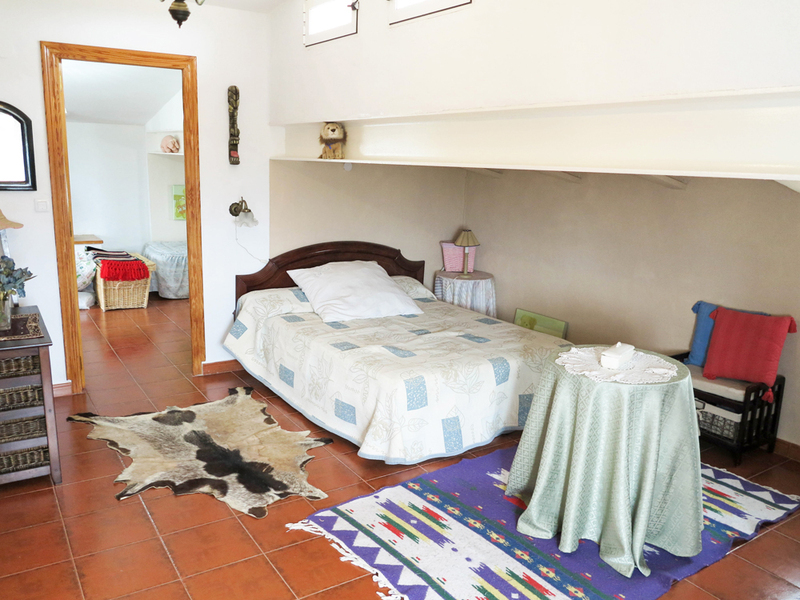 Upstairs on the first floor you have two large bedrooms, currently you pass through one bedroom to access the other. 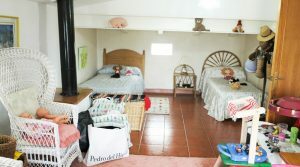 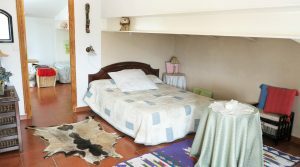 Both of the bedrooms have access to the bathroom that is located on this floor also and the larger bedroom has a radiator from the log burning chimney that comes from the lounge. 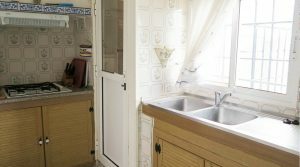 This property has mains water connected and it has solar panels providing its electricity, together with a generator for back-up as and when required. 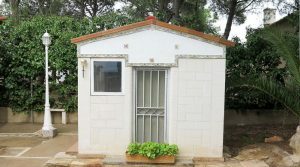 The solar system has an modern inverter connected to it also. 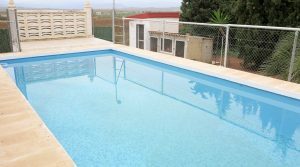 Outside in the back garden you have a 8m x 4m swimming pool, currently without a filter and pump system. 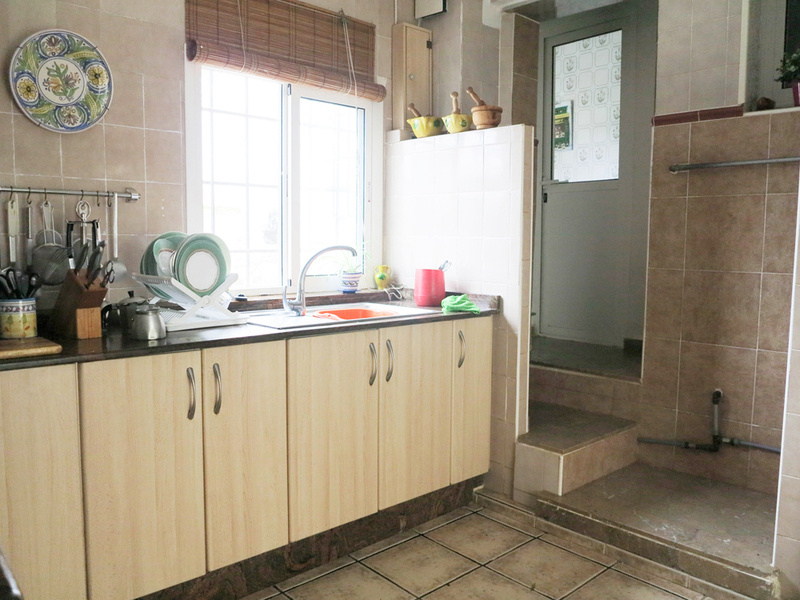 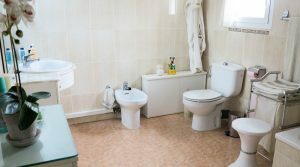 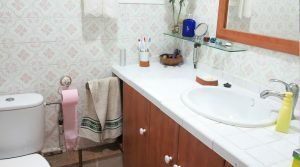 As the water supplied to this property is so cheap the owners have never needed one, however it would be very easy to connect if desired. 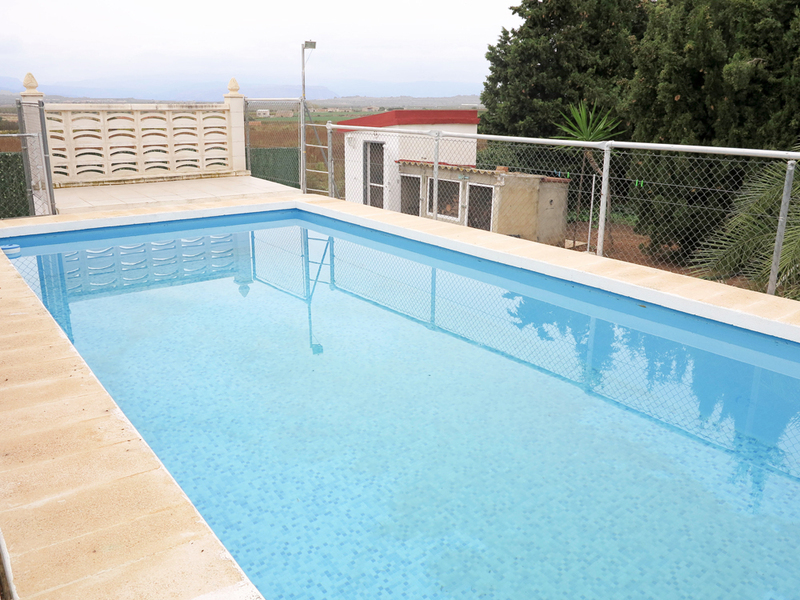 The swimming pool has a terrace and it is child friendly, together with a pool side shower. 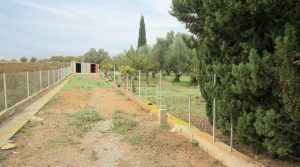 There is a 2m² pool house which would be ideal install the filter and pump system in, then you also have a small store room next to it. 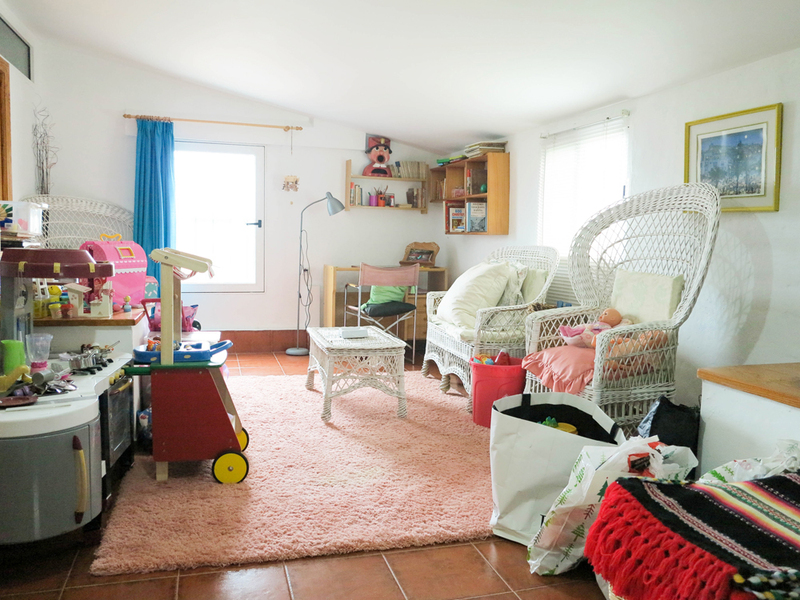 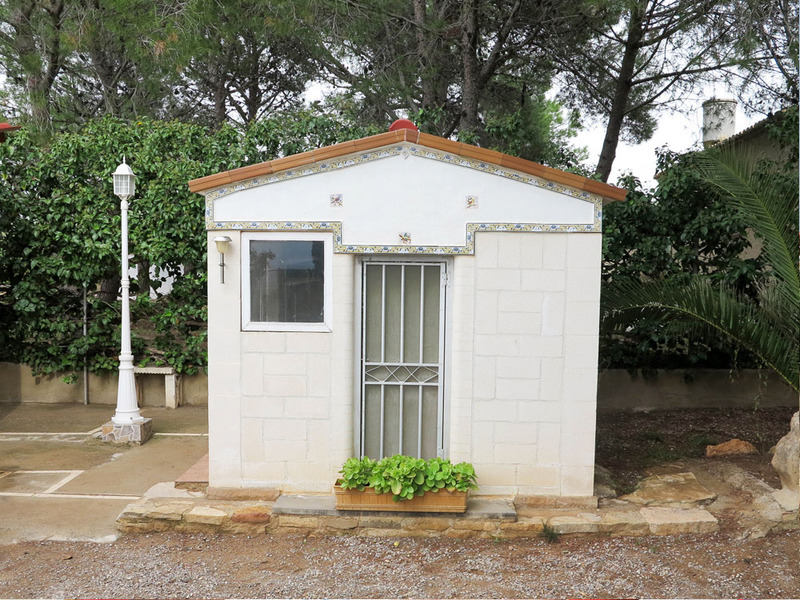 Also in the back garden there is a large 20m² detached store room. 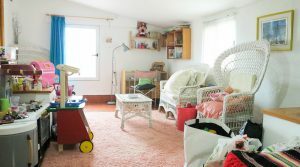 This store room is large enough to be converted if you wanted to create a separate apartment for your guests and the driveway runs down to it as it is located at the bottom end of the gardens. 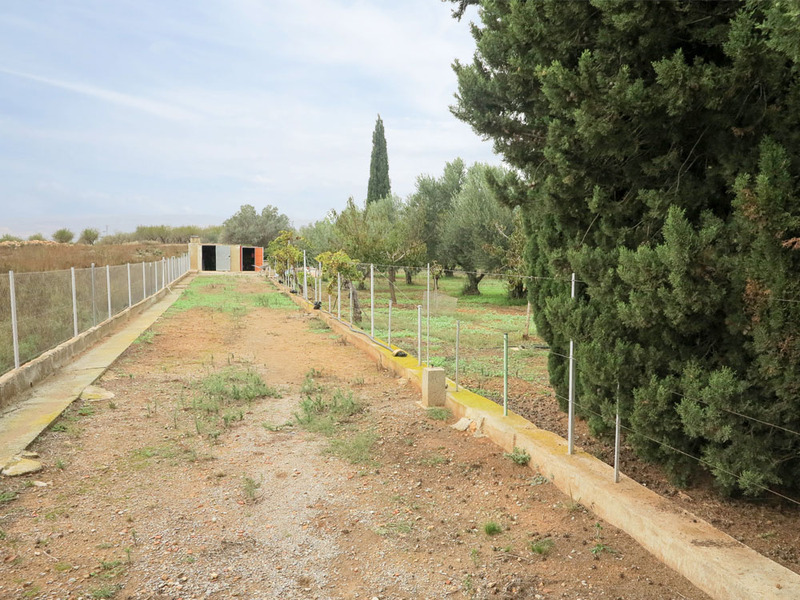 You have a good selection of trees including peach, nispero, plumb, and palms, together with healthy grape vines and a collection of olive trees that produced 68 litre of tasty extra virgin olive oil for the owners this year. 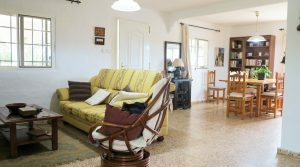 This countryside villa does have a quiet remote location and the access roads are hard stone tracks, well laid and well maintained. 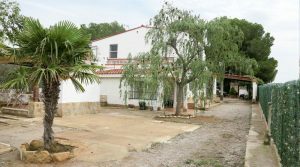 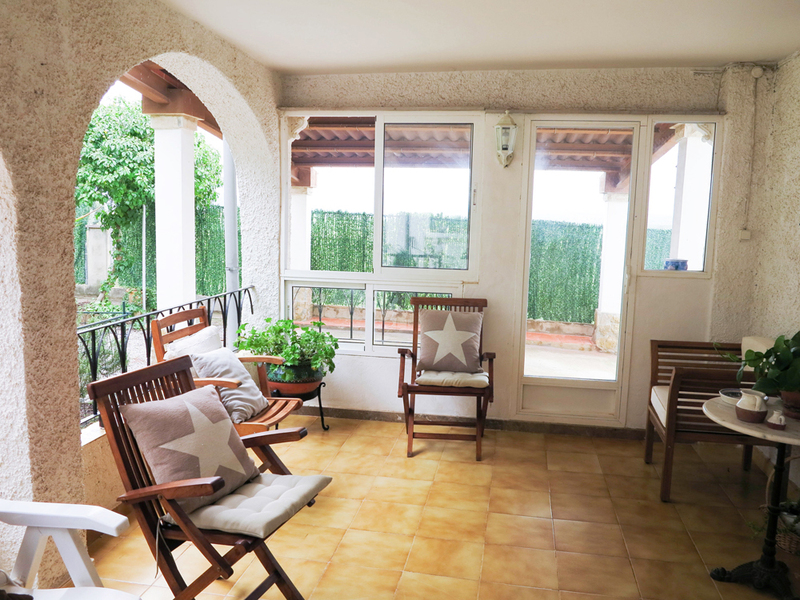 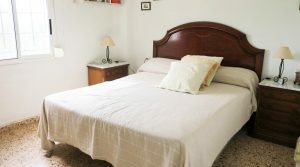 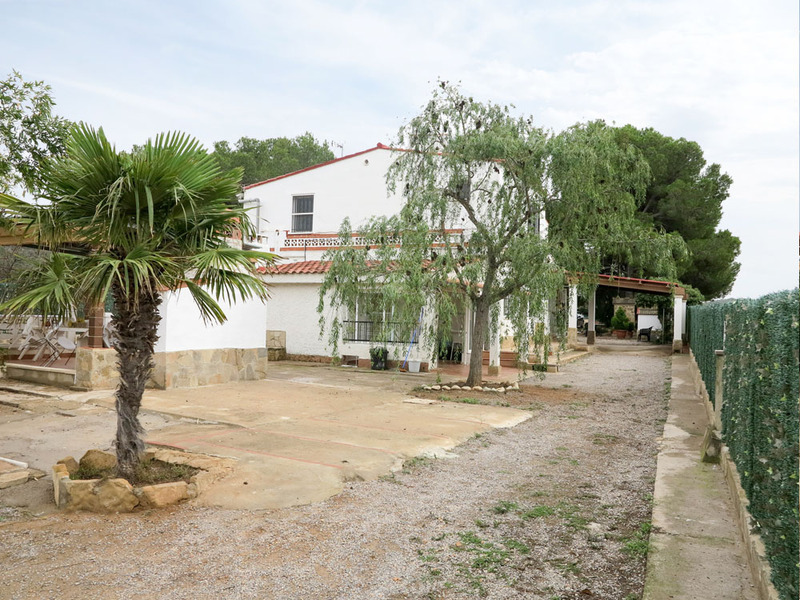 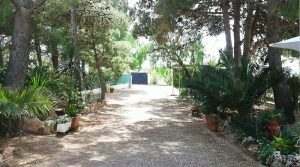 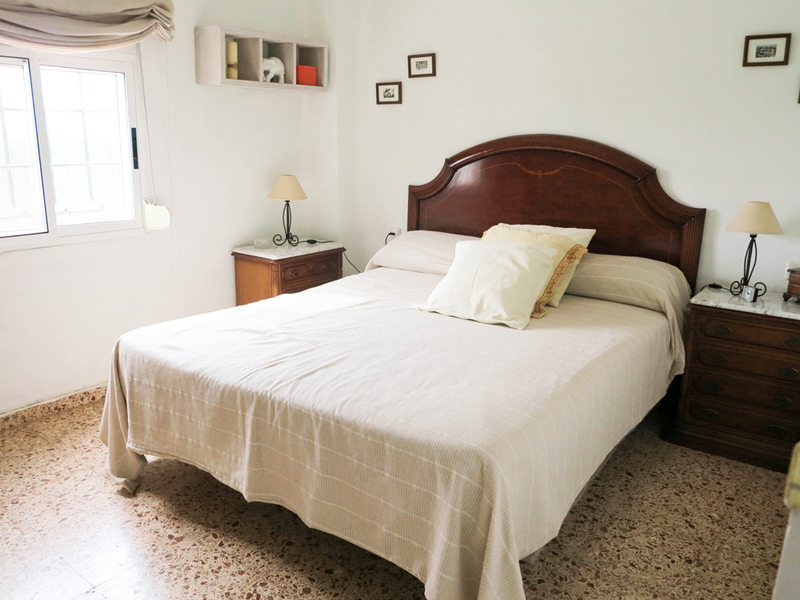 The property is 3km from the main road CV35 where you would go to when heading to either of the two towns and of course to head in to Valencia. 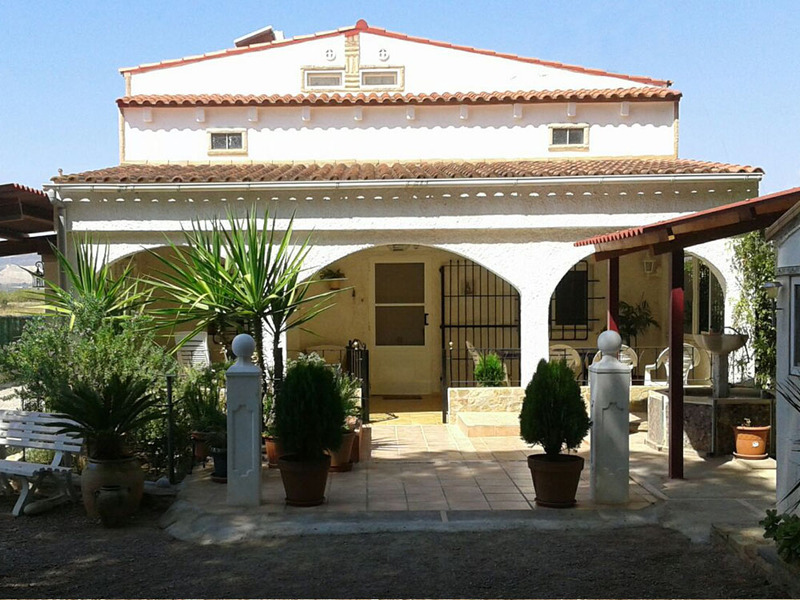 The town of Lliria is about a 10 minute drive from Villa del Arzobispo and in Lliria you have a metro train station taking you in to Valencia city centre. 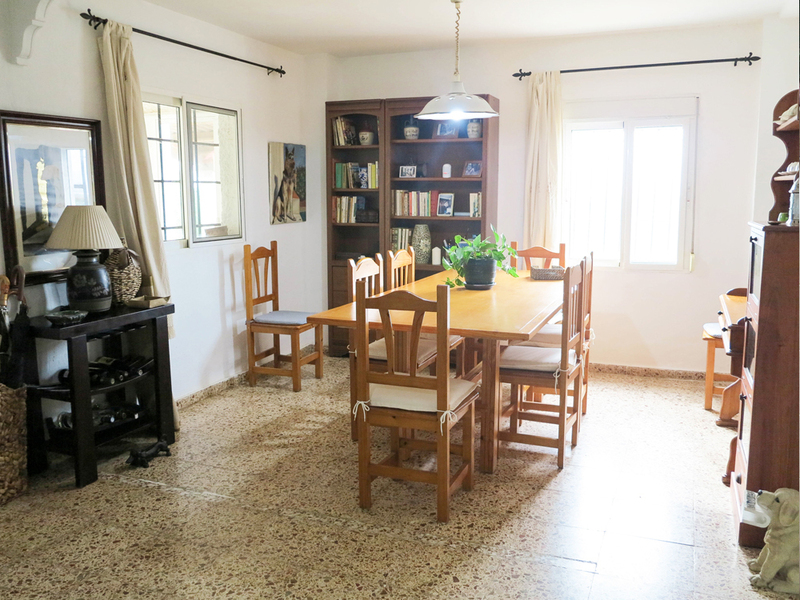 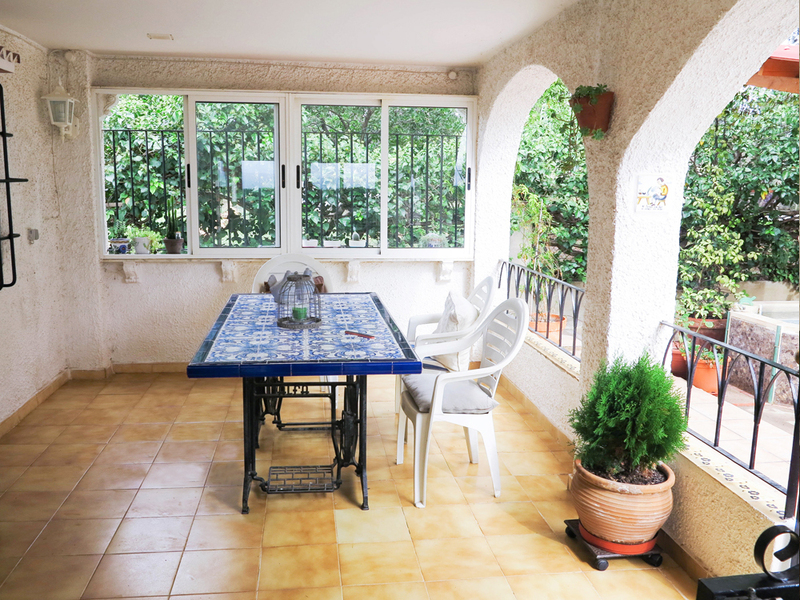 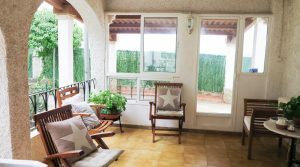 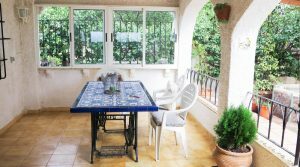 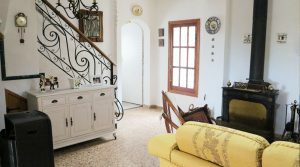 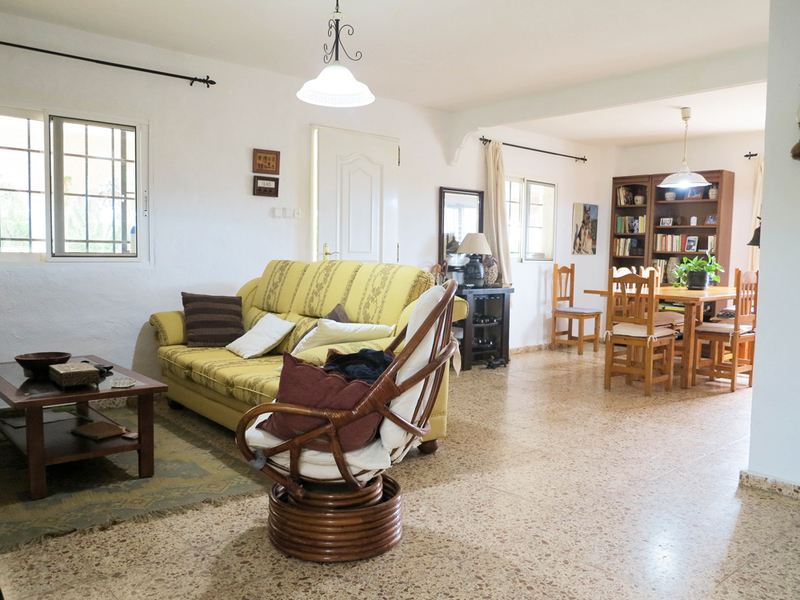 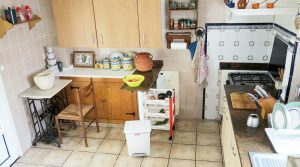 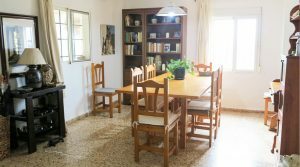 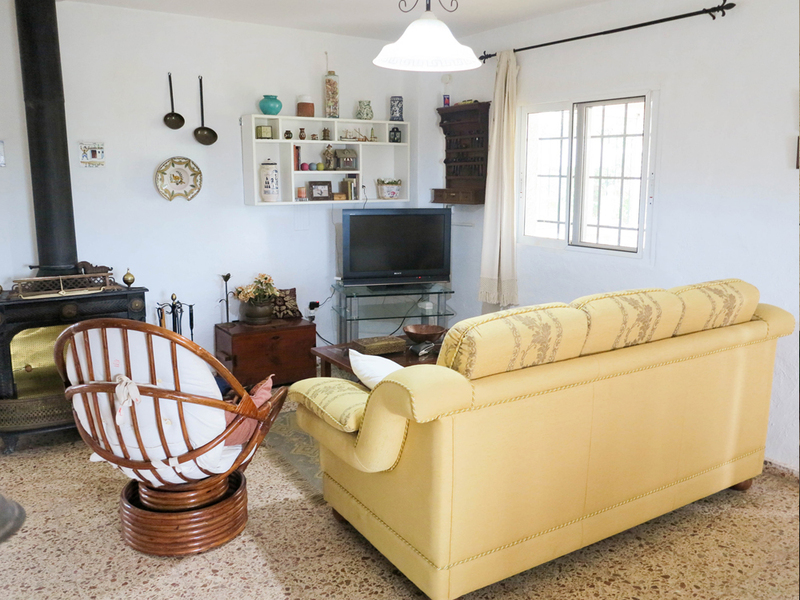 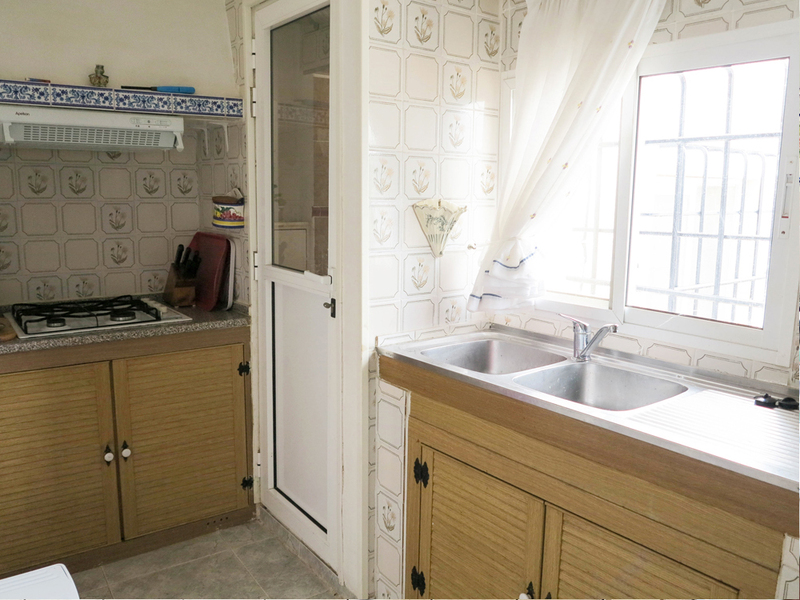 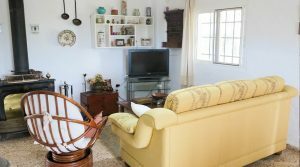 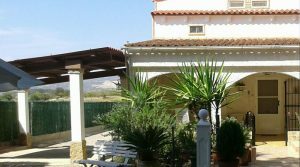 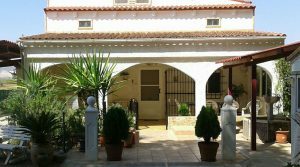 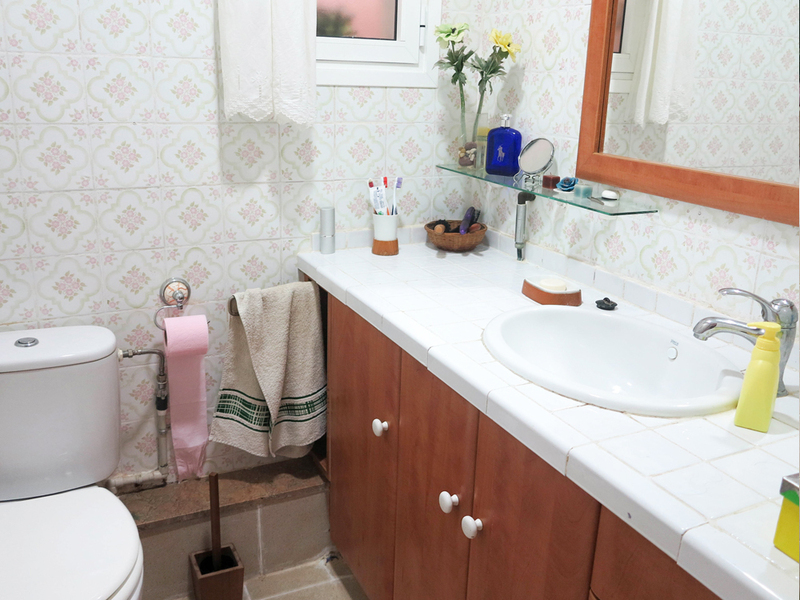 This countryside property for sale in Valencia is being sold partly furnished and has recently been reduced by 13.000 Euros by the owners.